With the demands placed on industrial machinery growing more severe, using premium synthetic lubricants is no longer a luxury. Conventional lubricants break down sooner, exposing severe-service industrial equipment to premature failure and costly repairs. AMSOIL synthetic lubricants, on the other hand, are designed to meet the toughest challenges of each application while delivering superior performance throughout all important areas. Whether it is extreme-pressure protection in industrial gearboxes, oxidation resistance in compressors or maximum cold-flow properties in hydraulics, AMSOIL synthetic technology targets the most critical areas without sacrificing overall performance. A maintenance program centered around AMSOIL synthetic industrial lubricants helps increase the performance and longevity of equipment, maximizing your company’s competitiveness and profitability. Industrial equipment requires clean, high-quality hydraulic oil to operate efficiently and achieve maximum life. Excessive oxidation results in harmful deposits and varnish that cause a host of problems, including stuck valves and decreased efficiency. 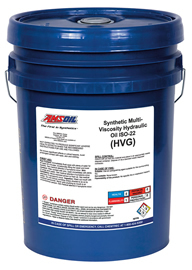 AMSOIL synthetic hydraulic oils maximize hydraulic system efficiency and longevity. Air compressors are vital to running tools and equipment in industrial plants. Continual operation increases heat, which can lead to fluid oxidation and poor component protection. AMSOIL synthetic compressor oils deliver outstanding protection in reciprocating and rotary compressors. Grease can be overlooked when maintaining industrial equipment. Constant severe-service operation can reduce the effectiveness of inferior greases, leaving bearings, bushings and other components vulnerable to wear and failure. 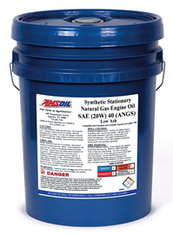 AMSOIL synthetic greases are engineered to withstand the rigors of severe-service industrial equipment. AMSOIL synthetic natural gas engine oils are formulated specifically to meet the special needs of stationary and vehicular natural gas engines. Each AMSOIL account is serviced by an independent AMSOIL Dealer who can help develop a program that best helps individual businesses increase productivity and prof- its. AMSOIL Dealers are backed by the AMSOIL Technical Services Department, where representatives are avail- able to answer application-specific questions and make product recommendations. 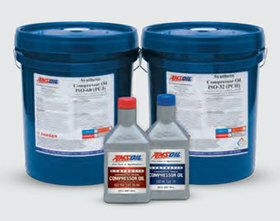 AMSOIL corporate personnel are available by email, phone and fax to assist accounts in any way, while important information regarding technical updates and product availability is posted in the Commer- cial Account Zone at amsoil.com. With AMSOIL, placing product orders is quick and easy. Customers can order directly from AMSOIL INC. by Inter- net, phone or fax. Qualified customers may also apply for credit, simplifying the payment process.AMSOIL products are blended and packaged at the state- of-the-art AMSOIL Center in Superior, Wisconsin. It serves as the hub of a global distribution network; strategically located regional warehouses throughout North America ensure orders arrive as quickly and cost-effectively as possible. AMSOIL boasts a reputation for manufacturing to more rigorous standards than other lubricant companies. The process begins by selecting raw material based on qual- ity and performance. AMSOIL quarantines and tests all incoming raw material to ensure it meets the company’s strict performance standards before accepting it for use. Every product AMSOIL manufactures is tested every time it is blended to ensure maximum quality and consistency. This ensures AMSOIL users receive the same high per- formance every time they purchase AMSOIL synthetic lubricants. AMSOIL commercial accounts purchase AMSOIL products at wholesale pricing, which is approximately 25 percent less than suggested retail. Large-volume orders are eligible for additional product and freight discounts.